The firm said this week in Cannes that it is launching a specialty group to help clients focus on the emerging technology of virtual reality. CANNES, FRANCE: Ketchum is rolling out a service to help clients produce virtual reality content, the firm said this week. Called Ketchum VR, the New York-based service will be co-led by Marcus Peterzell, EVP of entertainment at Ketchum Sports & Entertainment, and Lori Beecher, EVP of media and content strategy. The group will have seven full-time producers, who will also work on other video projects. The agency has more than 40 staffers who specialize in technology, video, entertainment events, and user experience. The Omnicom Group firm has doubled the number of its producers and hired two full-time animators in the last year. In the past 60 days, Ketchum VR has produced two virtual reality videos, one each for Samsung Electronics’ mobile communications business and Clorox Healthcare. For Samsung Electronics' mobile unit , Ketchum Sports & Entertainment worked on Vanuatu Dreams, a VR film that follows two beach volleyball Olympic hopefuls from Vanuatu as they try to qualify for the Summer Games. The video is also available on Samsung’s VR app. Ketchum Studios helped Clorox Healthcare promote Nasal Antiseptic Swabs at a conference for nurses. 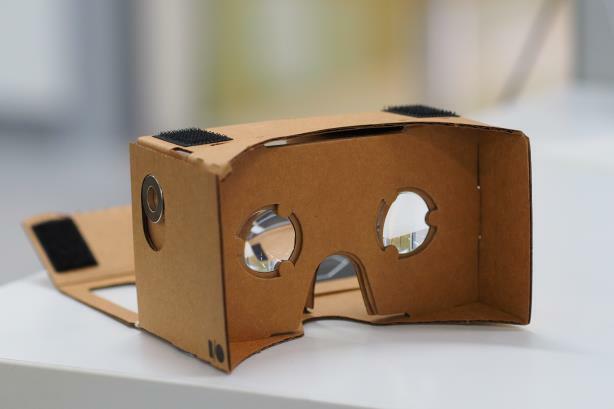 The conference, held by the Association of periOperative Registered Nurses, gave attendees Google Cardboard viewers to watch a 360-degree video of a nurse working with a pre-op patient. In a blog post announcing the group, Ketchum VR discouraged clients from buying into the hype until they experience the technology themselves. "With VR, we believe there should be something in the story that makes it worth telling in this immersive fashion," senior partner and North American CEO Barri Rafferty said in a blog post. "VR’s greatest allure is that it allows the participant to decide what they want to look at, experience, and pay attention to – to have personal control over the viewing experience." Ketchum said it anticipates "strong growth [in VR] in the coming years." "Increased accessibility to the technology means we can offer our clients new ways of engaging with their audience, and we only expect this trend to continue and grow as VR becomes more integrated into everyday life," Beecher said via email.